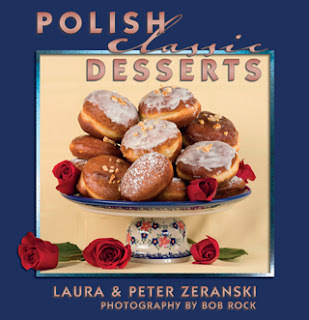 Poles love to bake with fruit and they always have. 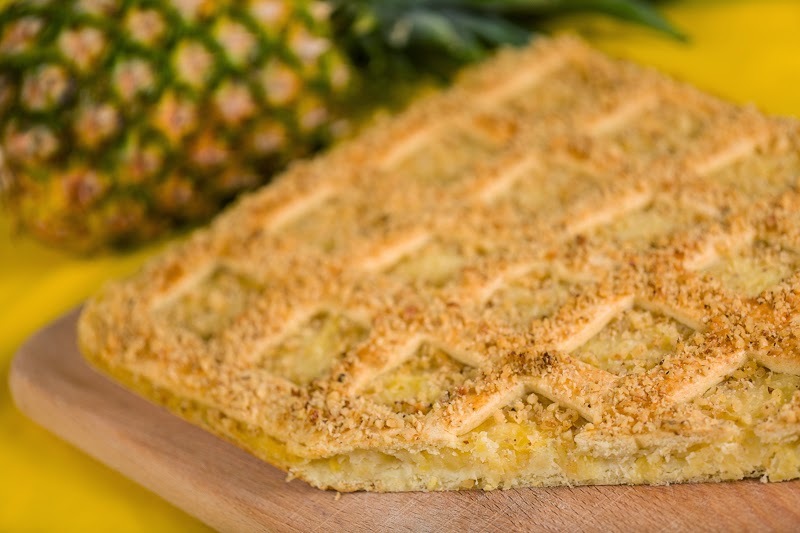 This particular recipe was an old favorite of Peter’s Mother’s and it calls for canned pineapple. But for us, today, this classic dessert is an attractive opportunity to take advantage of seasonal harvests and what is best in the grocery stores and farmer’s markets. The canned pineapple is a time saver but it can easily be substituted for any fresh fruit that has been chopped, diced, and drained well. Right now we’re seeing peaches, apples, nectarines, and apricots at our farmer's market. And just yesterday we saw bags of beautiful cherries at Wegmans. The key, is to drain the fruit well, otherwise the bottom layer of dough will get soggy. Preheat oven to 350°F. Mix the flour with the baking powder and sugar in the bowl of a standing mixer. Cut the butter into the flour until it resembles coarse crumbs. Mix the egg yolks with the milk and add to the flour. Knead the dough until all ingredients are incorporated well and the dough forms a ball. In a medium saucepan, mix the pineapple, cornstarch and sugar and cook on low heat until the mixture thickens. Set aside to cool. Line a 10x15-inch baking pan with parchment paper and butter the paper. Divide the dough into 2 equal pieces. Roll out the pieces of dough into rectangles, each large enough to fit in the prepared baking pan. Place one rectangle in the baking pan. Spread the pineapple mixture over the dough. Cut the second dough rectangle into strips and arrange on top in a lattice design. Brush the top dough layer with the beaten egg white and sprinkle with the walnuts. Bake for 40 minutes until golden brown on top. Remove from the oven. Cool on a baking rack. Cut into squares and serve. Oh, those squares look delicious. 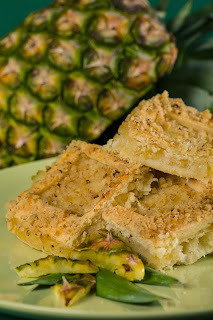 I did not try to combine walnut and pineapple yet. But I guess that should be a really nice combo. I must try that recipe. Thank you so much for sharing it! My Gram used to make these. I've been looking 30 years for this recipe. THANK YOU!